Hugh Ferguson & Co Ltd are Chartered Certified Accountants and Statutory Auditors. Based in Ayrshire we have been serving sole traders, partnerships, limited companies, clubs and individual clients since 1965. 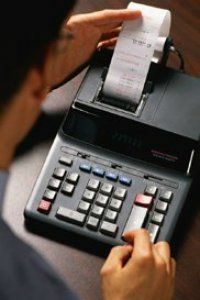 Our accountancy in Scotland has developed a solid reputation as dependable Chartered Certified Accountants in the process. Our experience, expertise and personal approach have ensured that we have become an established and trusted name throughout Scotland with a reputation for providing a personal, courteous and professional service. Our accountants in Scotland understand that personal and professional services, value for money and customer satisfaction are the key to the success of any practise. For financial advice in Scotland or for more information on our range of services including all aspects of general accounting, tax advice, business advice and financial advice please contact us on 01560 320494, or use the inquiry form provided on the Contact Us page to e-mail us your query.